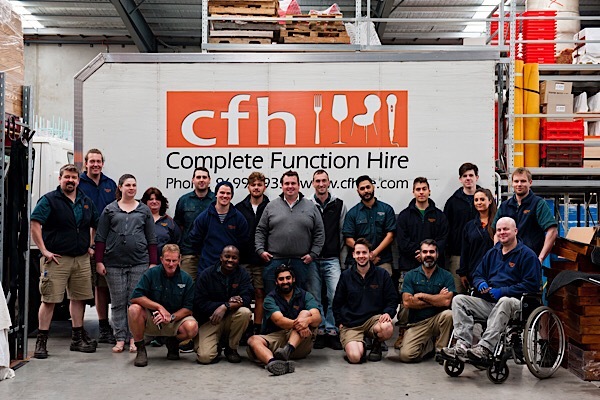 The team at Complete Function Hire have enjoyed sharing the stories of our awesome team with our event clients, partners and fans in our ‘Who’s Who at Complete Function Hire’ series. What a team of characters we work with! Our team of hard working event professionals enjoy providing the best possible customer service to our Melbourne wedding and event clients and we all enjoy the friendly culture that has been created by our Co-Founder Steve Withers. Steve has been involved in the Melbourne events industry for the last 26 years and prides himself on his strong relationships with our event partners, clients and our team. Unofficially, Steve says his role is to ‘build and fix stuff’. Officially, Steve is a wonderful leader that has created a culture of true team spirit and an environment where we all work towards the same goal – to deliver seamless events every time. For the last 17 years, Complete Function Hire has gone from strength to strength and this can be attributed to the whole team’s personalised approach to every wedding and event, no matter how big or how small. What prompted you to start Complete Function Hire? I had a desire to own my business and have always enjoyed the excitement of the events industry. After being involved in various industries including fitness (as a personal trainer) and sales, I met by business partner and Complete Function Hire Co-Founder Andrew when we worked together at Mr Party Hire for many years. We were like minded and wanted to give our own business a go. We filled my single car garage and house with hire equipment such as stage decks, chairs and glassware and the rest is history! 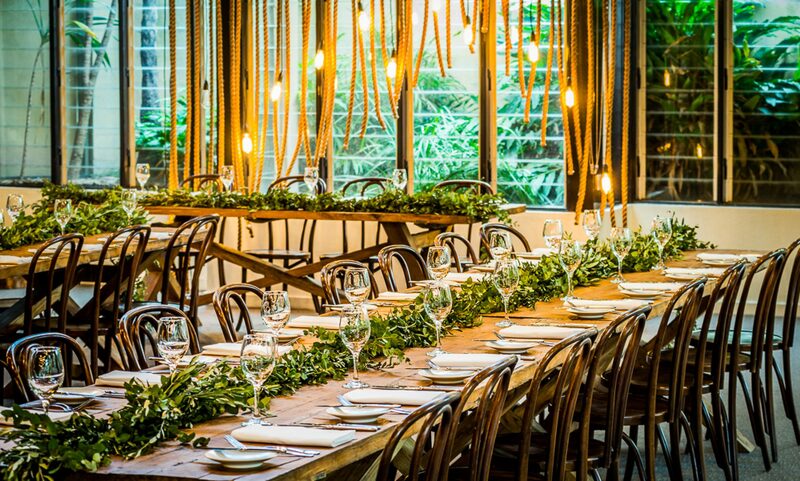 17 years later, Complete Function Hire is still going strong and now we supply furniture and equipment hire to some of the most amazing Melbourne events, venues and weddings. The Complete Function Hire team are committed to providing the best event hire products and customer service to our wedding and event clients. Working with like-minded people who share my passion for ensuring every client is extremely happy with the products and service that we provide. We all work exceptionally hard but we also enjoy having a laugh together at the end of the day too. I am very proud of the team environment that we have here at Complete Function Hire. I love spending time with my beautiful wife and our 2 sons and enjoy being on the water, boating and fishing. I love a good cup of tea (in a nice china tea cup). Beer is another favourite, especially after a big day of weddings and events! 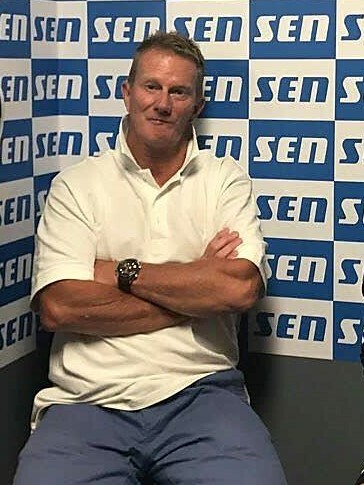 Who do you barrack for in the AFL and why? I don’t have an AFL team but I absolutely love going to the MCG with my sons and wife Robyn, we always have a great time together. To find out how our team of customer service driven staff can assist you in planning your wedding or upcoming event, click here to contact us today.